Freshly Caught Fairy Folk are delightful fairy characters handmade in Cornwall, England by The Fairy Catcher. 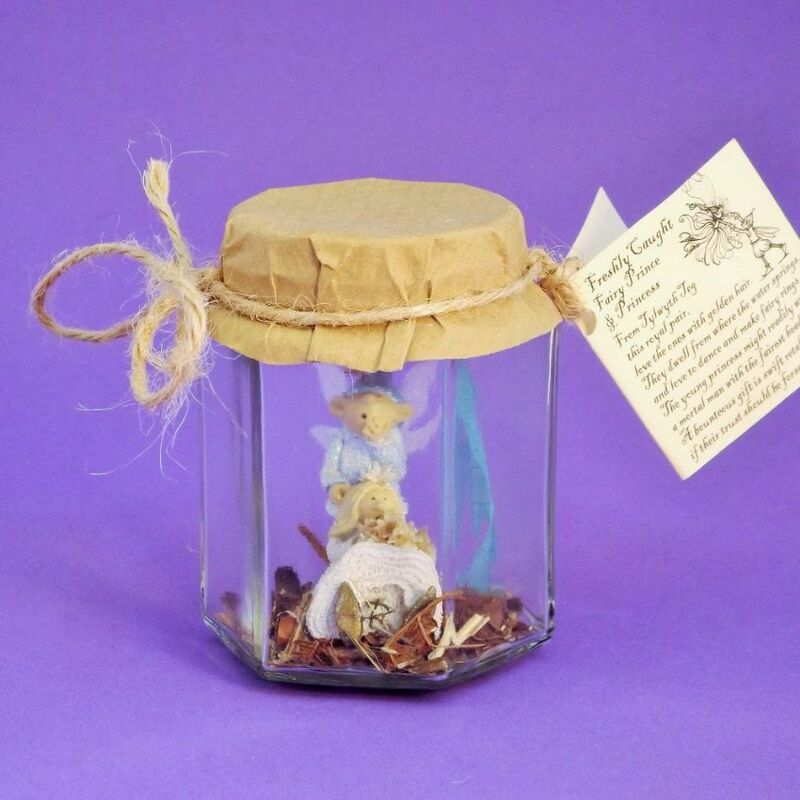 Each fairy character comes captured in a brown paper covered glass jar tied with string and a gift card label. Supplied in a ventilated box, allowing your fairy character to breathe! love the ones with the golden har. and love to dance and make fairy rings. a mortal man with the fairest head. if their trust should be forsaken. Jar measures 9cm high approx. Inside the jar the character is a Freshly Caught Fairy Prince and Princess. Due to the handcrafted nature of Freshly Caught Fairy Folk, slight differences may occur, flowers and foliage in the jar may differ - which adds even more charm to these unique and delightful characters. All Freshly Caught Fairies are strictly ornamental and not intended as toys. The fairy character is not removable from the jar.